Hey hey! I seem to be really, really busy at the moment, so thought I'd stick my head round the door, say hello and then collapse in a big heap! 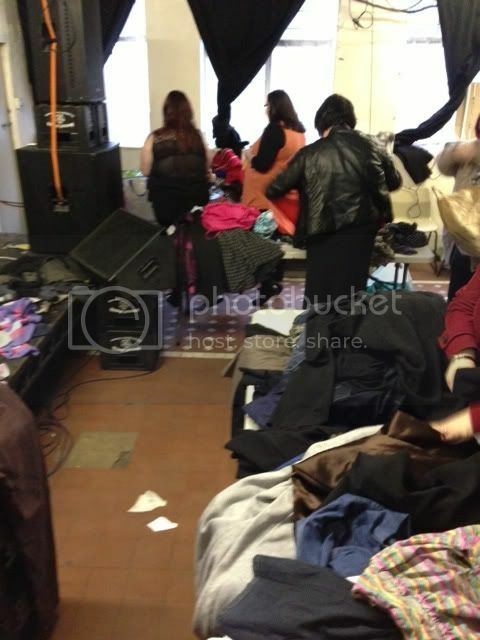 On Saturday, I went over to Leeds for the Plus Size Clothes Swap, the events happened 4 times now I think and I've wanted to go for ages so I was so excited for my first time. Held at the Wharf Chambers in Leeds and this time was organised by Rebecca and Lolly (and thank you to anyone else who helped that I haven't mentioned). 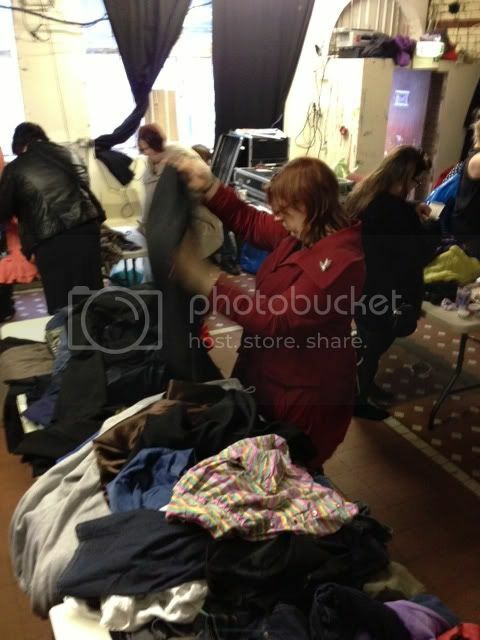 I brought a little suitcase packed with dresses, trousers, tops and knitwear ready to distribute across the tables. I came away with a dress and some tops, I went for a couple of bits that I wouldn't usually wear in an attempt to challenge my wardrobe, so I'm looking forward to styling them. I also picked up the most awesome printed skirt which looks vintage, but not sure if it is as I has no labels, so can't wait to wear that one! As usual I was completely socially awkward and didn't talk properly to anyone as I should have, so for that I'm sorry! But thanks to Rebecca and Lolly for a lovely afternoon. Yesterday the snow came, much to my daughters excitement. Personally I can't stand the stuff, but it was very cute to see how excited Poppy was. So first thing this morning, still in my PJ's we got our wellies and big warm coats on and played in the snow. Tomorrow I head off to Manchester to meet up with Toni where we've got a few meetings and view the venue for Plus North, exciting! Providing its everything we hope it will be we'll be able to let you guys know this week! Then on Thursday I'm headed to London for an event with Evans, I'm excited to be catching up with all my blogging babes and as always seeing what's new over at Evans! I'll try and bang a few outfit posts up this week, but with the weather as it it, don't expect anything too stylish! Ha ha! 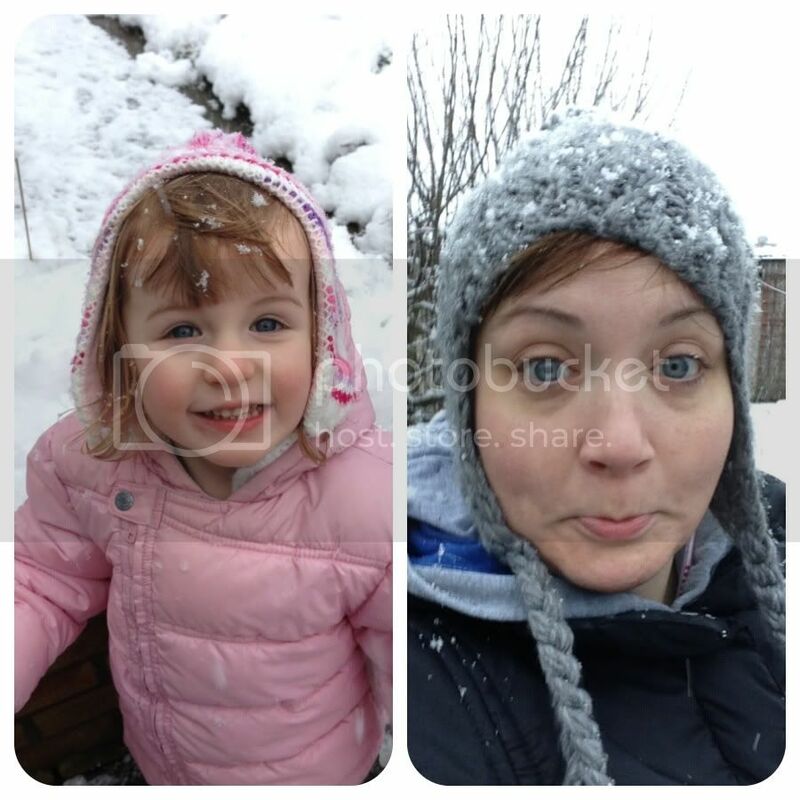 For once Scotland only got a sprinkling of snow - love this pics of you & Poppy in the snow, nice to see the snow but not be in it!